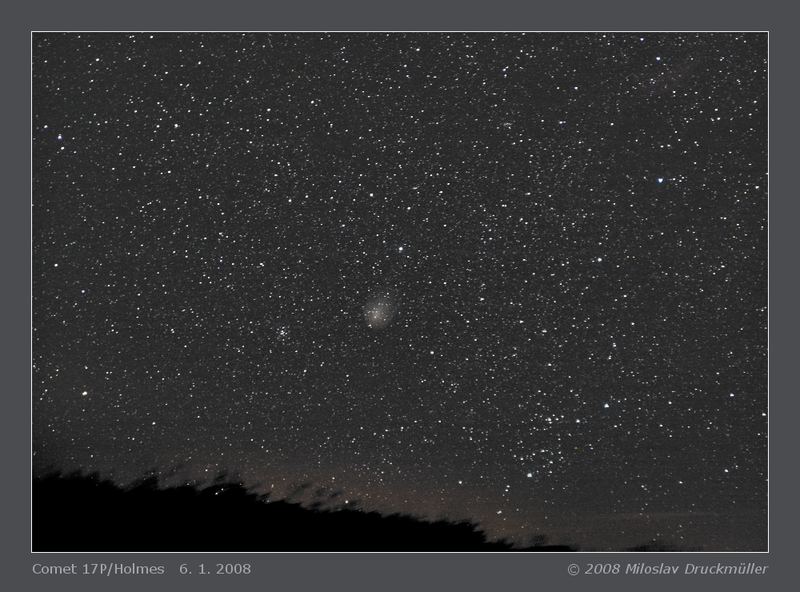 This is my first image of Holmes comet made on the southern hemisphere. 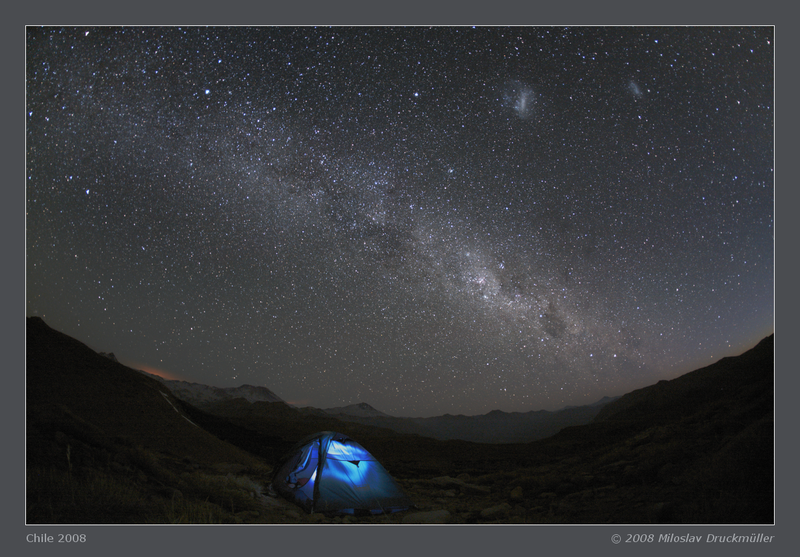 The image was taken during our two-member mountaineering expedition (me and my wife) to Chile. Even though the comet was only several degrees above the horizon in Chile and I had only a small tripod and 28-75 mm zoom lens, the resulting image turned out rather fine. I used short exposure times (13 s) in order not to blur the image by sky motion.